We’re still in Hellboy anticipatory mode here at Bleeding Cool, and a recent interview Mike Mignola gave has us even more hopeful that Lionsgate’s 2019 reboot film will be close to the source material. 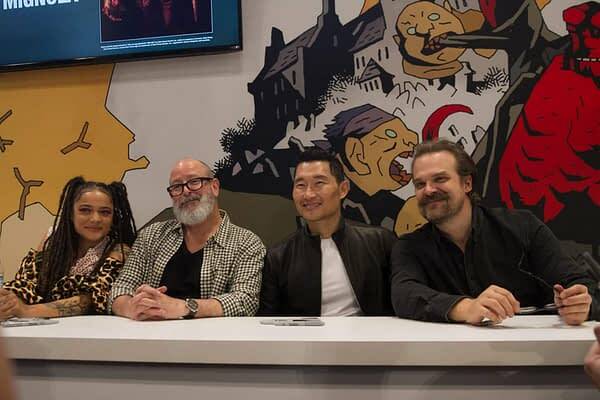 Sasha Lane, Mike Mignola, Daniel Dae Kim, and David Harbour sign at the Dark Horse booth during NYCC 2018. Comic creator Mignola (who is an executive producer on this one) offered a pretty big statement about this darker take on the character. “This one is much darker and does follow the Hellboy storyline from the comics much more closely,” he said while chatting with ComicBook.com. CB: The movie is said to draw from story arcs like Darkness Calls and The Wild Hunt. Should a sequel be pushed into development, what are some other storylines you’d like to see adapted? Mignola: If we get to do another film, I think the idea would have to continue on in the directing of the comics — continuing the big storyline from Darkness Calls, The Wild Hunt, and The Storm and The Fury. Some changes would need to be made, some characters swapped out and certain events presented in a different order, but I think those books would still be our road map. Of course, someday I would still love to see a really faithful adaptation of The Crooked Man. CB: In the world of shared entertainment universes, do you feel Hellboy is a prime candidate for the same treatment, whether it be in theaters or on television? 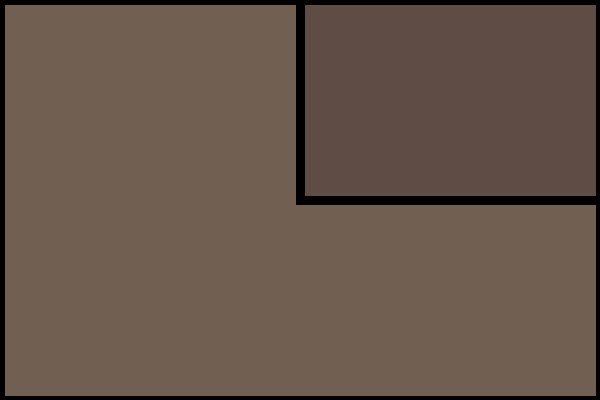 Mignola: I don’t know. Maybe. The Hellboy stuff is pretty odd and I would have thought too odd for a larger audience—But these days I see a lot of odd stuff out there. The success of something like Umbrella Academy certainly gives me hope. Hellboy will hit theaters this weekend on April 12th, and the upcoming B.P.R.D. : The Devil You Know #15 comic on April 17th.